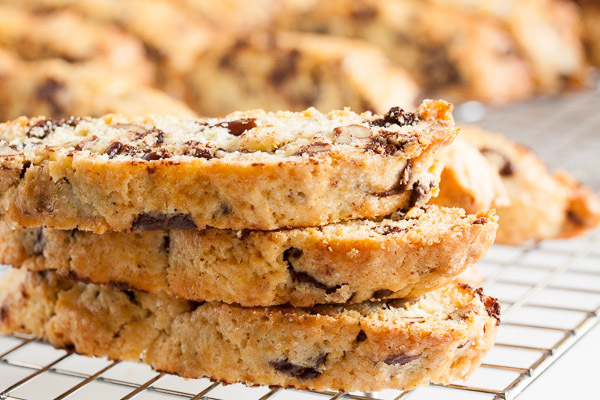 Orange Chocolate Chip Biscotti | wanna come with? The last time I brought in biscotti, no one seemed very excited by it. It all got eaten, but no one went “oooooh biscotti!! !” (for the record? that would totally be my reaction). This time? Lots of excited noises. I don’t know if they learned how good biscotti can be after the last ones I brought in, or if it’s just a different group of people I’m hearing from this time. But I’m definitely hearing a lot of “ooooh biscotti!! 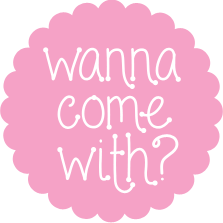 !” and lots of happy yummy noises. And I’m seeing a pretty empty cookie jar. The original recipe said to just form a single log, but you know I like my cookies smaller so I made 2 logs. After baking, I realize I could have easily done 3 or 4 logs and gotten even smaller cookies, because what I ended up with seemed like pretty standard biscotti-size. The original recipe must make huge cookies! I’ve had some pretty good luck with biscotti recipes so far. They’ve all had a perfectly crunchy yet tender texture. Great for eating as-is or dunking in coffee (so delicious!). 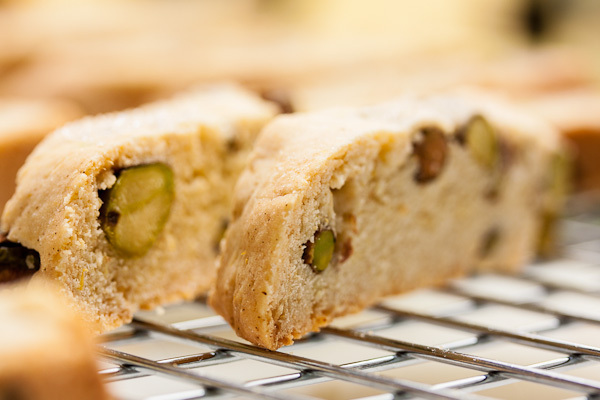 And this biscotti is definitely following that trend. 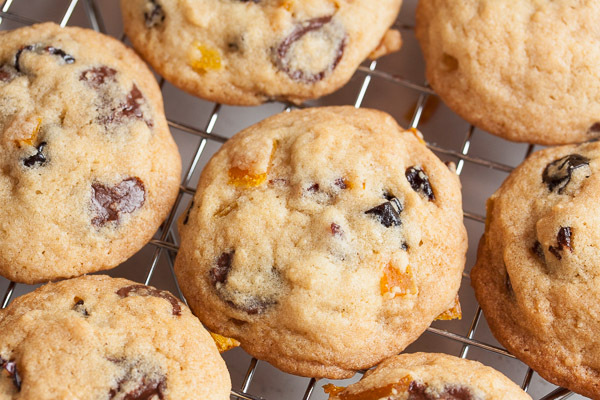 I’m a big fan of the combination of chocolate and orange (like these orange cookies with cherries and chocolate), and both those flavours work great with coffee, so dunk away! 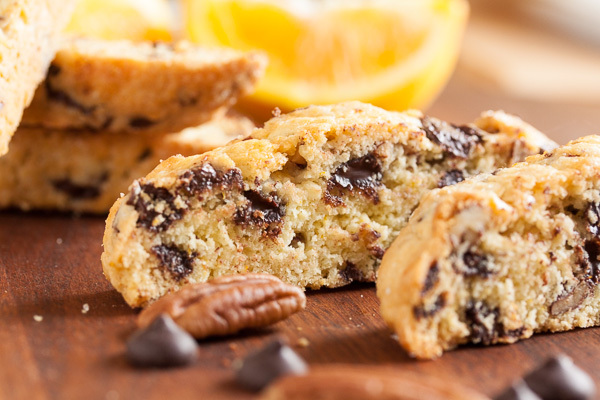 Adapted from "Orange Pecan Biscotti" from Butter Baked Goods by Rosie Daykin. The original recipe says it will make 18 large biscotti. I formed the dough into two logs and got 30 regular-sized biscotti. You could form the dough into 4 smaller logs and get 60 small biscotti if you like. In the bowl of your stand mixer, combine the sugar and orange zest, rubbing them together with your fingers until the zest is distributed and the sugar is fragrant (the original recipe called for the zest to be added later, but I learned this method from Dorie Greenspan and prefer it for avoiding clumps of zest). Add the butter and beat together on medium speed until light and fluffy, about 3 or 4 minutes. Scrape down the sides of the bowl and add the eggs, one at a time, beating well after each. Add the orange juice and beat again to incorporate. Turn the mixer down to low and add the dry ingredients, mixing until just barely combined. Remove from the mixer and knead in the nuts and chocolate chips. Divide the dough into 2 or 4 portions (depending on how big you want your final cookies to be). 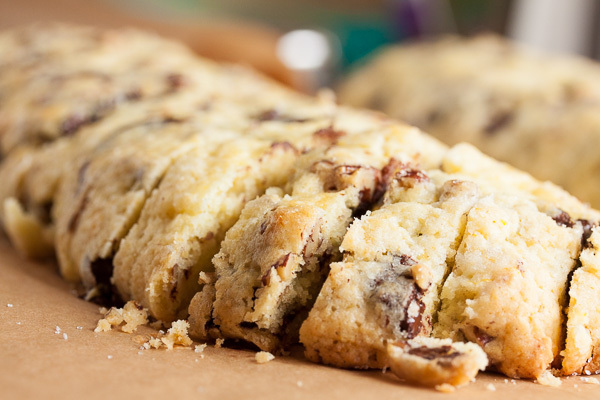 Form each portion of dough into a log approximately 18 inches long. You can fit 2 on a cookie sheet. Flatten slightly. In a small bowl, make your egg wash by whisking together the final egg and the cold water. Brush some of this on each of the logs and sprinkle with the sanding sugar. Bake for about 25-30 minutes, until the logs are lightly golden and feel firm, rotating the baking sheet halfway through the baking time. 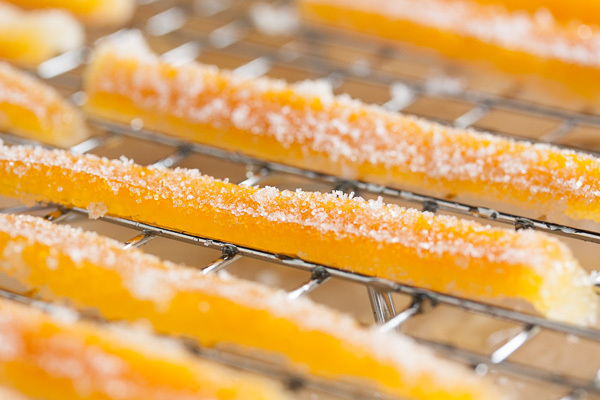 Remove from the oven and allow to cool on a wire rack for about 10 minutes. Once they've cooled, transfer the logs to a cutting board. Using a serrated knife, slice each log diagonally into about 3/4" thick slices. Transfer the slices back to your baking sheet and bake for another 5-8 minutes. Remove from the oven again, flip the slices over, and bake for another 5-8 minutes. Remove from the oven and allow to cool on a wire rack for a few minutes before removing the cookies from the pan and allowing them to cool completely. 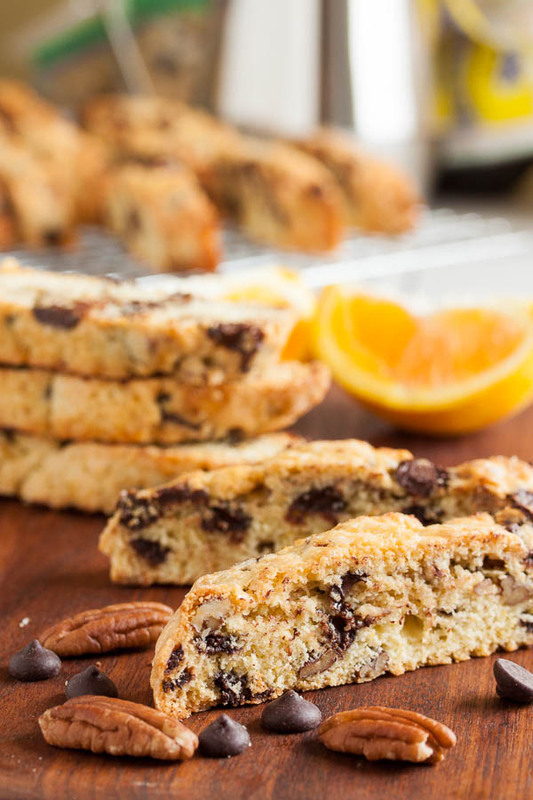 I love the combination of chocolate and orange too – and these biscotti look wonderful! I’m not even a coffee drinker, but these look (as you said) perfectly scrumptious to eat plain.